All employers have a duty to manage health and safety risks for their workers by eliminating or minimising the risks as much as possible. 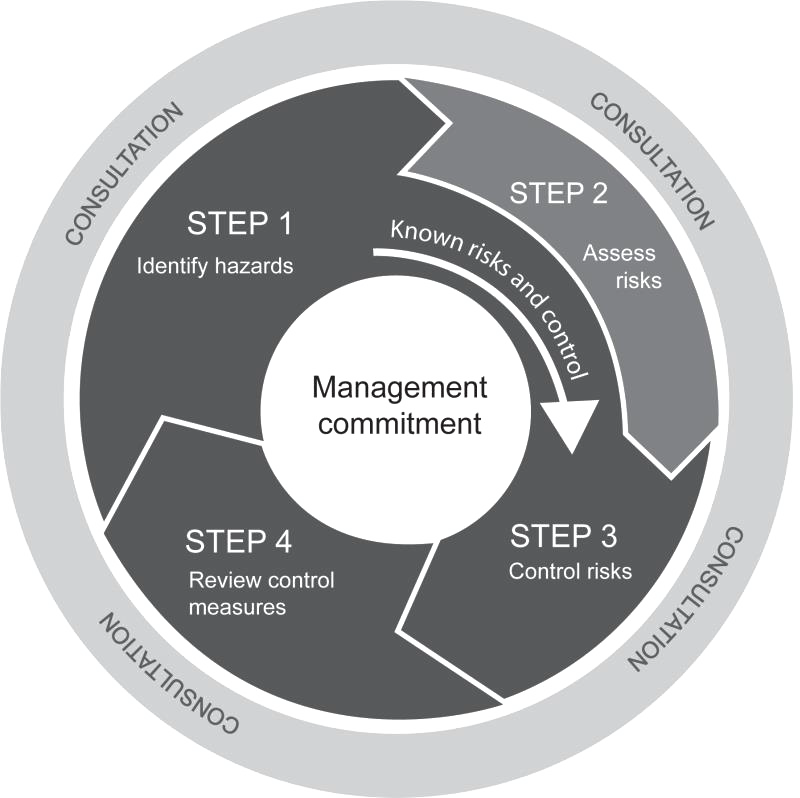 Risks should be assessed proactively, through a Risk Management process. This process will help you respond to change effectively and continually improve safety practices in your business. It should be systematic and cover all foreseeable hazards and associated risks. Risk control – is the action you take to eliminate or minimise a risk as much as possible. Step 1: Identify hazards – identify what it is that could cause harm. Step 2: Assess risks – assess the nature of the harm that could result because of the hazard, how serious the harm could be and the likelihood of it happening. Step 3: Control risks – determine which control measures will be most effective and implement them. Step 4: Review control measures – assess whether your control measures are working. You should consult with your workers at each step of the process, as workers generally have a good understanding of the associated hazards and risks related to tasks they’re performing and effective control measures. Designing and planning new products or projects.